Profit is theoretical, cash is real. Every business should focus on cash generation and too few do. You need profit to generate cash in the long term. In the short term, other factors are more important; the payment cycle, the amount of investments you need to make, the rate of growth and finally the profits made. The higher the price, the lower the demand is the general rule. Understand the relationship between volume and price for your products in the market. Price accordingly to balance profit per product and volume sold. Do you receive a one off payment or many reoccurring payments? Are your customers tied in via contract or free to go to competitors? What can you do to insure your customers will buy your products time and time again? Getting paid in advance or quickly is more valuable than getting paid in arrears. The earlier you get paid, the less you need to invest in your business. Shorten lead times and agree as long payment terms as you can for suppliers . Price is usually the counter balance, so consider all these together when negotiating. Are you able to do anything to reduce your suppliers costs without increasing your own? Could you share the benefits? Every business has at least a few staff. Are you committed to paying salaries each month or do you have a large variable element e.g. hourly staff. The more fixed cost, the higher the risk if your sales drop. Offsetting this, salaried staff are likely to be more loyal, committed and possibility better skilled. Profit is the amount of income left after all costs have been paid. If less than 5%, the business is on the breadline. Focus on increasing your prices, customer base, frequency of purchase, size of purchase and/or reduce your total costs. If the product margins are the issue (rather than staff or overhead levels), selling more will not help you but amplify cash flow issues. This cycle is extremely important and not very well understood by most business managers. How many days pass between spending a £1 and receiving £1+ back? This is likely the biggest factor in the amount of funding you need (especially services businesses). Make the number of days in the cycle as small as possible. Get paid in advance where ever possible. Reduce this investment. Revenue is vanity, profit is sanity, but cash is king. Cash generation over the long term, in our view, is the true measure of success. 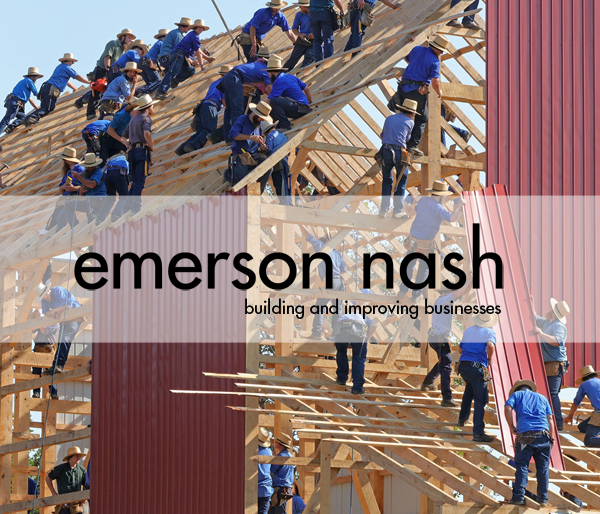 Emerson Nash helps design and improve Business Models. We also do generate substantial amounts of cash within businesses through our CashBuilder Programme.